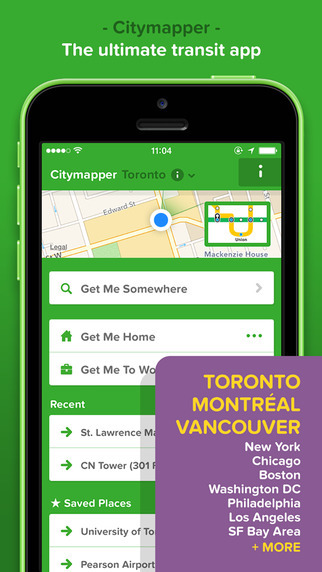 Citymapper has launched in Canada, starting out in Toronto, Vancouver and Montreal. The app brings live departure times for various forms of public transit, plus this latest update also brings support for Apple Watch. Toronto, your cries for help have been loud and clear. You’re the current standing winner of our citymapper.com/nextcity voting competition. As one voter put it, the GTA’s horrendous traffic and limited public transit integration make getting around a “challenge”. We don’t have CP24 live traffic camera feeds, but we still hope we can help commuters compare transit options and make some sense of the mess. Montreal and Vancouver, you guys are lucky to have better transit systems than Toronto and might not need as much help. But we’ve got your back too. The buses are live in Vancouver. Unfortunately STM doesn’t publish real-time in Montreal, but we made the app speak Français Québécois to compensate. Directions can be saved for offline use and while the app will allow you to plan your multi-modal journey from A to B. If you’re in Toronto, Vancouver or Montreal and use public transit, this is a free app that will certainly benefit you. Click here to download Citymapper for iPhone, it’s free. 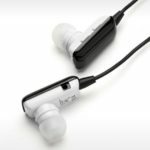 Let us know what you think of it.